Get expert advice on cosmetic surgery compensation with a free consultation. Once the exclusive preserve of those in the fashion and glamour world, cosmetic surgery has now become more affordable and more commonplace, with thousands of people across the UK undergoing cosmetic procedures every single year. As with any other area of medical practice, things can and do go wrong with cosmetic surgery and when they do, it is for the law to decide whether you have grounds to claim for damages or compensation for your injuries or losses. While any cosmetic surgery procedure is in fact a medical procedure, the difference between the two is that cosmetic surgery is not usually done for health reasons. It is an elective procedure that is usually done to alter the structure, appearance, colour, position or texture of one or multiple body features to achieve what the patient perceives as a more desirable outcome. 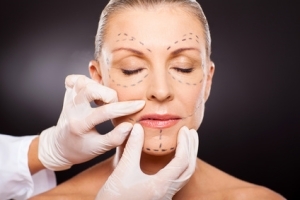 By its very nature, the success of any cosmetic surgery procedure is subjective. The surgeon and the patient may have differing views as to whether or not the surgery was a success and the ‘desired outcome’ was achieved. It is not uncommon for cosmetic surgeons to create an unrealistic impression of what is achievable with surgery using positive advertising and models with picture perfect looks. When you decide to go in for cosmetic surgery, those perfect images can subtly colour your judgement and influence you expectations. If the post-procedure results fall short of these expectations, you may be entitled to claim for cosmetic surgery that hasn’t produced the results you might have been promised. Before performing any cosmetic procedure, the medical practitioner has a duty to discuss with you the limitations and any known risks involved in the procedure you have elected to undergo. You should also be informed about any alternative procedures that could help you achieve the same results. This allows you to make an informed decision regarding the procedure. In addition, you should also be given time to think it over and weigh the pros and cons before proceeding. If the practitioner fails to provide you with the necessary information or the cooling off period, than the practitioner is considered to be in breach. Legally, all medical practitioners, including plastic surgeons owe their patients what is legally referred to as “a duty of care”. In other words, these medical professionals are obliged to take reasonable precautions to ensure your safety and general well being whilst you are in their care. When a cosmetic surgery procedure such as laser eye surgery goes wrong, patients often require extensive and expensive treatments to correct the faulty cosmetic surgery. While compensation for cost of this corrective treatment is recoverable based on actual expenses, arriving at a figure for compensation for physical and psychological injuries may be slightly more complicated. This compensation will be based on medical evidence in the form of a doctor’s report. Compensation will also be awarded for any financial losses and other costs that are incurred as a direct result of the negligent treatment. Who Do You File Against For Cosmetic Surgery Negligence? Most victims of cosmetic surgery negligence believe that the cosmetic surgeon is liable for damage as they are directly responsible for the procedure. However, the cosmetic company also plays a major role as they are partly responsible for providing the materials used in the procedure. Unfortunately, when a compensation claim is filed, neither party is ready to claim responsibility. Whether the surgeon or the cosmetic company is liable for cosmetic surgery negligence varies from case to case depending on the specific circumstances. An experienced clinical negligence lawyer would be able to provide better advice as to whom to pursue under the prevailing circumstances.